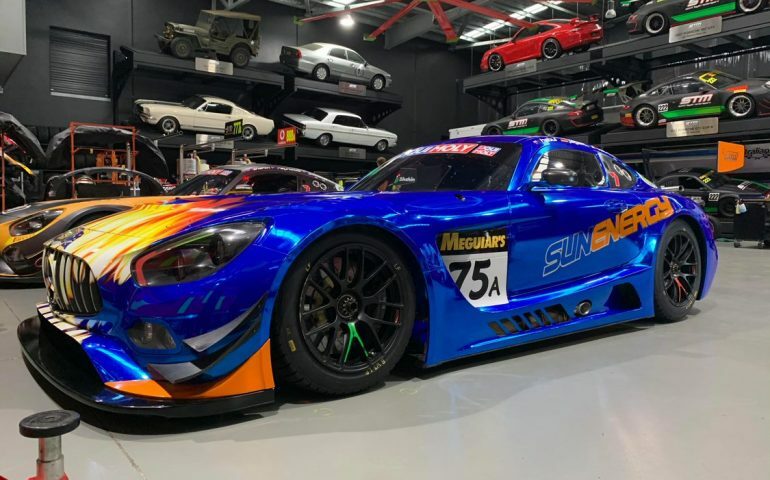 SCOTT TAYLOR Motorsport has locked in the third and final component of their extensive 2019 Liqui-Moly Bathurst 12 Hour campaign, Kenny Habul’s SunEnergy1 team to again be supported by the Queensland-based Mercedes-AMG team. Runners-up in 2018, Habul will be joined by Tristan Vautier and 2013 12-hour winner Thomas Jager on their return visit this year. Jager has become something of a Bathurst regular – especially in Mercedes-AMG machinery – and teamed with DTM legend Bernd Schneider and Alex Rollof to win the race for Erebus Motorsport in 2013. Vautier, a former IndyCar racer, won the 2018 Intercontinental GT Challenge Drivers championship in a season that kicked off with second place at Bathurst in the SunEnergy1 Mercedes AMG. The Frenchman finished on the podium in every ICGT race last season, including winning the Suzuka 10 Hours. Ex-pat Aussie Habul, who said his Bathurst podium was a ‘dream come true‘, clinched the ICGT Bronze drivers championship in the final round at Laguna Seca late last year. STM will be involved in three of the multiple Mercedes-AMG entries in this year’s event. As well as partnering with Habul’s SunEnergy1 Racing outfit, the team will work with a pair of Supercars Championship teams this year. STM and Triple Eight race engineering are partnering in the Mercedes-AMG Team Vodafone entry to be driven by Craig Lowndes, Jamie Whincup and Shane van Gisbergen, while also linking with Erebus Motorsport to field Pro-Am contenders Yasser Shahin, David Reynolds and Luke Youlden in a car sponsored by The Bend Motorsport Park. Taylor, who is spending his summer competing in the BNT V8 Series in New Zealand, said he was looking forward to STM’s biggest ever Bathurst attack. “Every year this race goes to a whole new level and 2019 is proving to be the largest yet, there are some formidable entries this year who we respect and are looking forward to challenging on our home soil,” Taylor said. “The guys in the STM workshop have worked hard to rebuild all three cars so as to deliver a package where every component has been fully serviced, re-built or replaced, the guys and girls have done an amazing job – no stone has been left un-turned – thank you team STM. Six Mercedes-AMG GT3s will compete this year as the brand searches for their second 12-hour victory. As well as the three cars associated with Scott Taylor Motorsport, Craft-Bamboo Racing will partner with Black Falcon to field a car in the Professional class, Maro Engel, Gary Paffett and Luca Stolz sharing the driving duties. Mark Griffith’s Team Nineteen Corp outfit will also pair with Black Falcon, while Asian GT team GruppeM will enter the race for the first time.